The Ovetto is a three-layer soft shell mid-layer constructed from Stretch Polyester fabric. Nowadays we see more and more armoured hoodies on the market and while there's no denying their use, they often lack any sense of style. 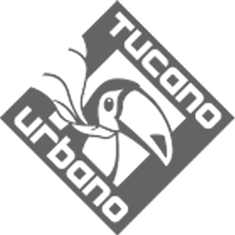 Tucano Urbano put their Italian minds to it and gave the Ovetto a nice fit and trademark attention to detail. The Ovetto boasts a breathable and fully waterproof membrane and a fleece lining to keep you cozy. There are pockets for elbow, shoulder and back armour and subtle reflective bands to keep you safe in traffic. The Ovetto is the perfect garment for a quick trip to the store around the corner. Don't expect levels of protection that a leather racing suit would give you, but for short stints on the bike it's ideal. Even more so with a jacket on top that might not have pockets for armour.